Nice apartment (35 m²) in which can be accommodated up to 4 people, category ***, second floor, TV, satellite TV, internet, air conditioning, one bedroom, living room with kitchen (exit to the balcony), nice bathroom, washing machine (on the ground floor), clothes dryer, balcony (6 m²) with sea view, umbrella, table and chairs on the balcony, nice garden, garden shower, private parking, grill, smoking is allowed in the apartment. 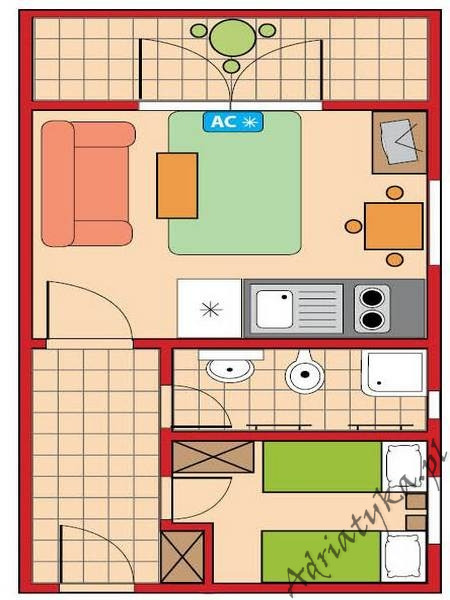 The apartment is located on the second floor of a nice and large building. 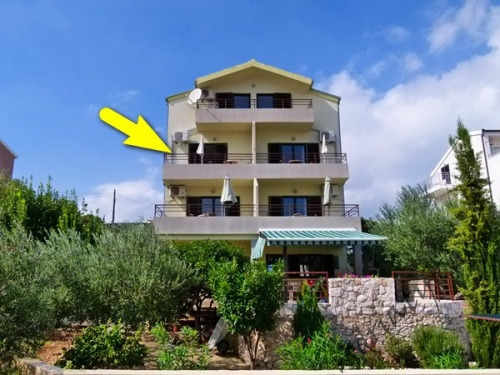 Guests have at their disposal internet, balcony with sea view, umbrella, table and chairs on the balcony, nice garden, garden shower, private car park and grill.